Like I said yesterday, I’m doing a thing. The thing is this. Here’s the thing. I might be a bit anxious about it. 3 screenplays, 12 weeks. Many tears. Many biscuits. Many pieces of paper. Many lost sanities. Today I’m pitching my plan and my story to my course peeps and after that I’ll pitch it to you guys. The outline is this: One original feature length screenplay, Two original tenish minute length screenplays. This post is just a flag wave to the whole challenge. Oh and just because I’m panicking here’s a picture of my comfort lunch. 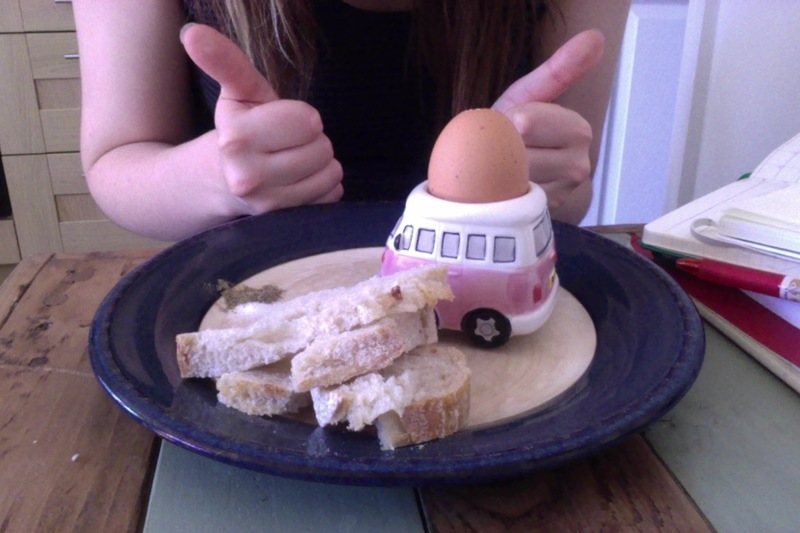 Boiled egg and soldiers. Thanks for reading!